Betty Gilpin and Alison Brie pose backstage at the 2018 MTV Movie & TV Awards. 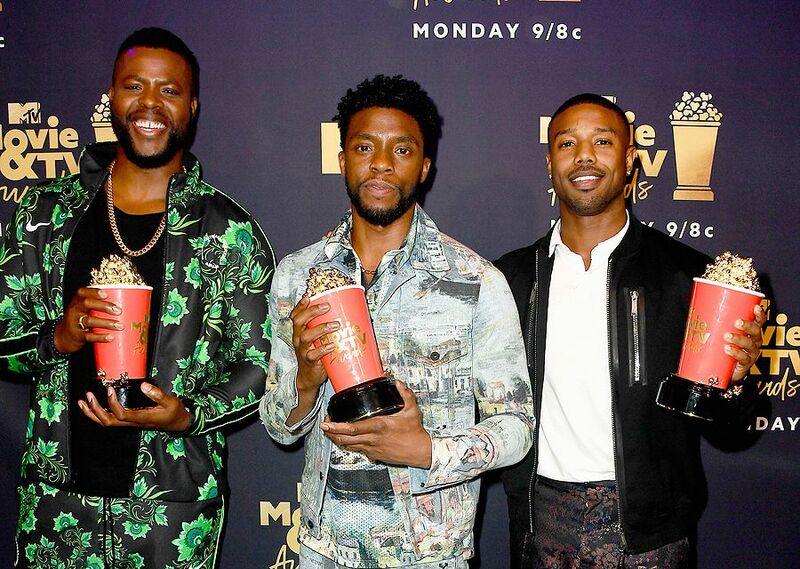 Winston Duke, Chadwick Boseman and Michael B. Jordan celebrate Black Panther’s win backstage at the 2018 MTV Movie & TV Awards. 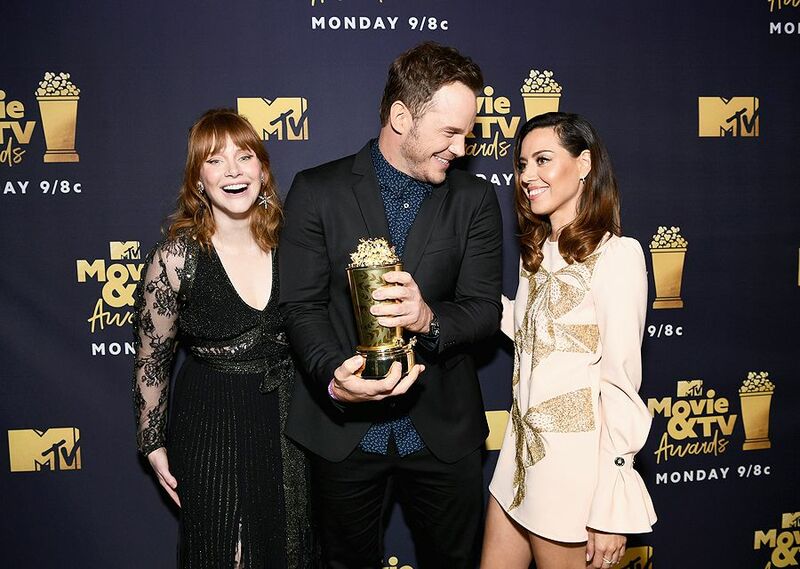 Generation Award Recipient Chris Pratt poses with Aubrey Plaza and Bryce Dallas Howard backstage at the 2018 MTV Movie & TV Awards. 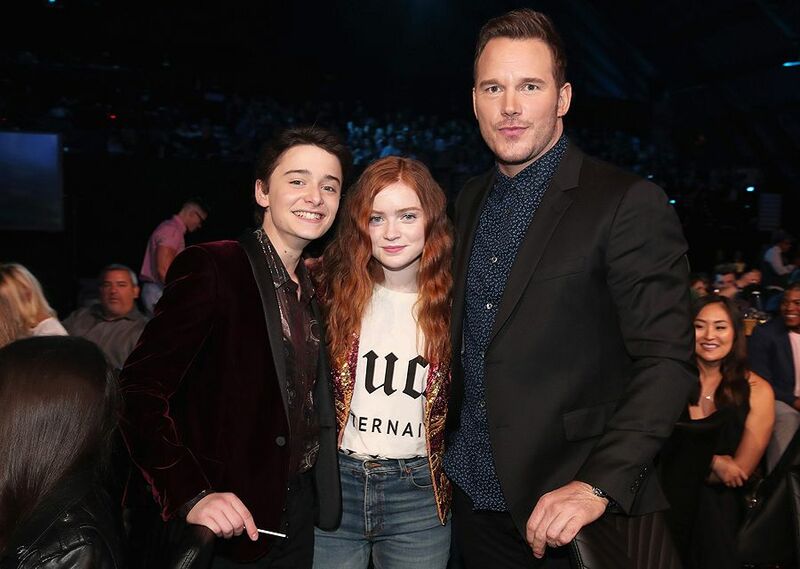 Stranger Things 2 stars Noah Schnapp and Sadie Sink pose with Generation Award recipient Chris Pratt at the 2018 MTV Movie & TV Awards. 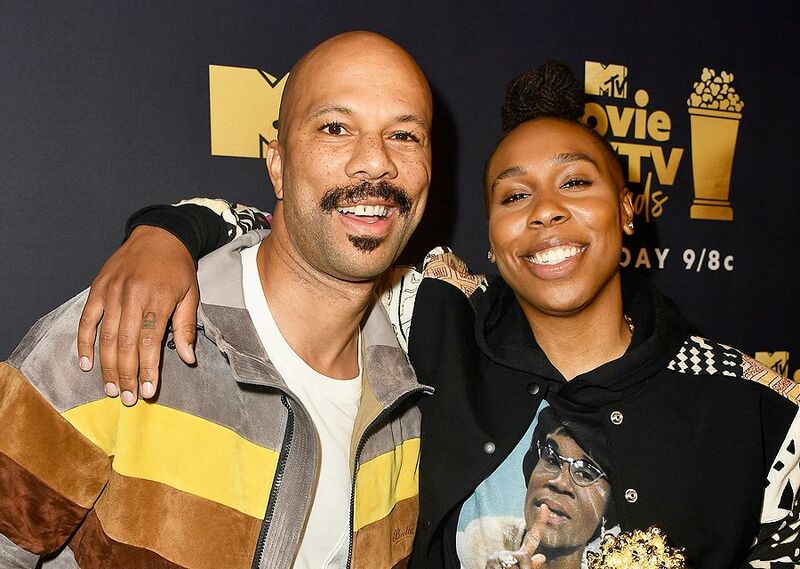 Common and Trailblazer Lena Waithe pose backstage at the 2018 MTV Movie & TV Awards. 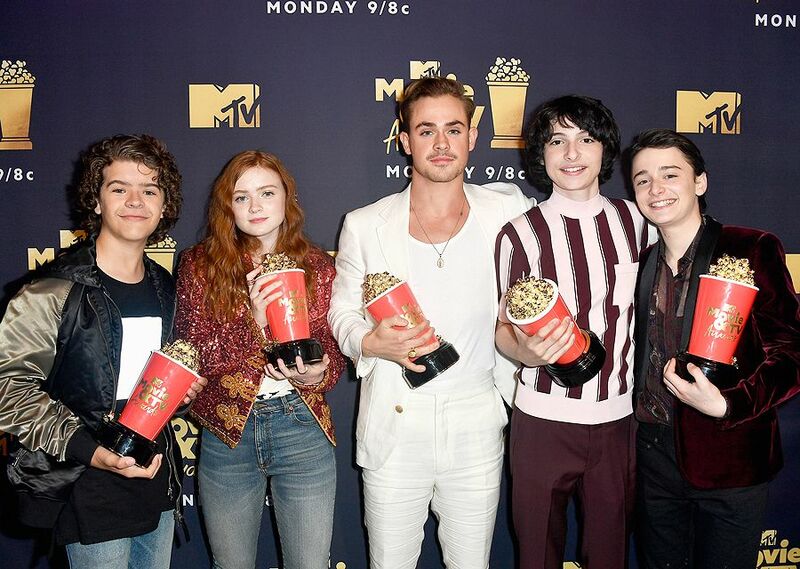 The cast of It pose backstage with their award for Best On-Screen Team backstage at the 2018 MTV Movie & TV Awards. 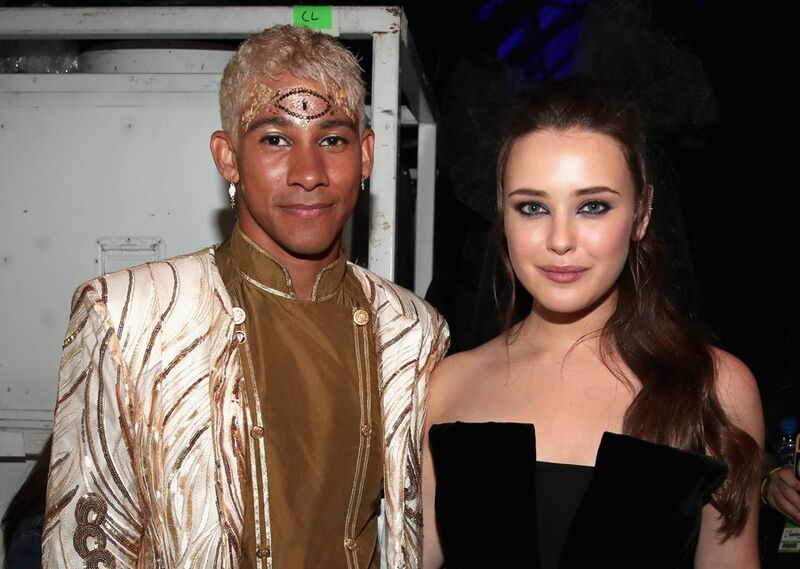 Best Kiss winner Keiynan Lonsdale poses with Love, Simon co-star and 13 Reasons Why star Katherine Langford backstage at the 2018 MTV Movie & TV Awards. Kristen Bell and Michael B. Jordan hug backstage at the 2018 MTV Movie & TV Awards. 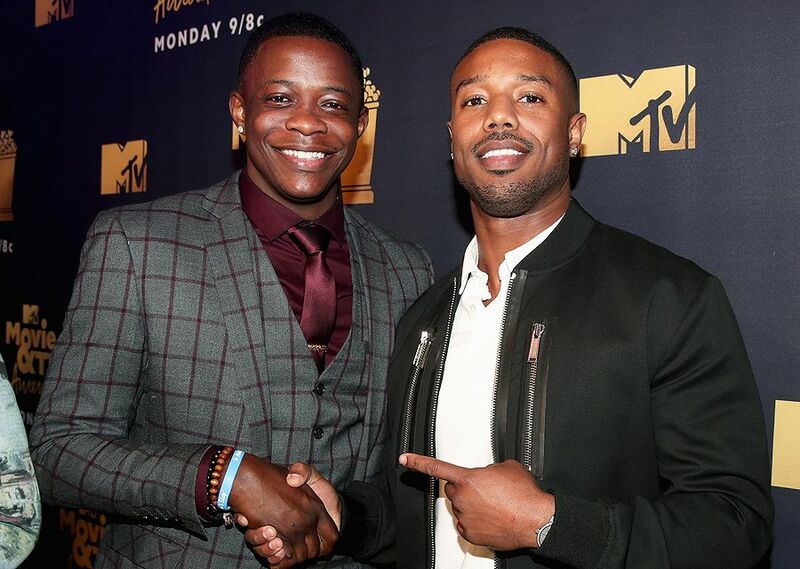 Michael B. Jordan poses with real-life hero James Shaw Jr. backstage at the 2018 MTV Movie & TV Awards. 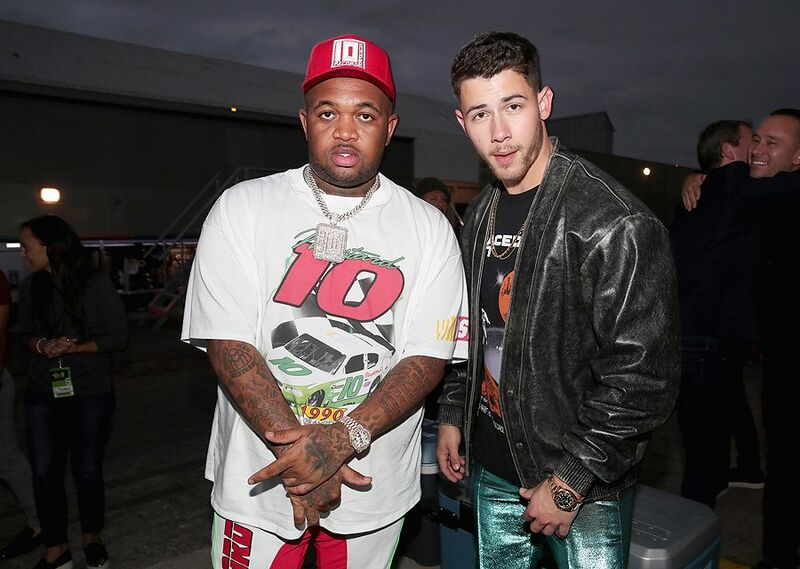 Performers Mustard and Nick Jonas pose backstage at the 2018 MTV Movie & TV Awards. Kim Kardashian West and Olivia Munn snap a selfie at the 2018 MTV Movie & TV Awards. Riverdale stars Lili Reinhart, Vanessa Morgan, Madelaine Petsch, Camila Mendes and Ashleigh Murray pose backstage at the 2018 MTV Movie & TV Awards. 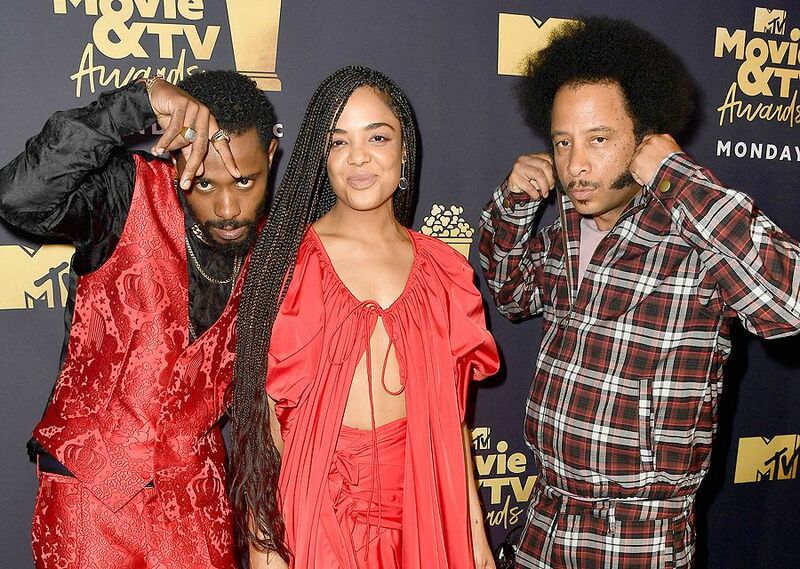 Sorry To Bother You stars Lakeith Stanfield and Tessa Thompson pose with the movie’s director Boots Reilly backstage at the 2018 MTV Movie & TV Awards. 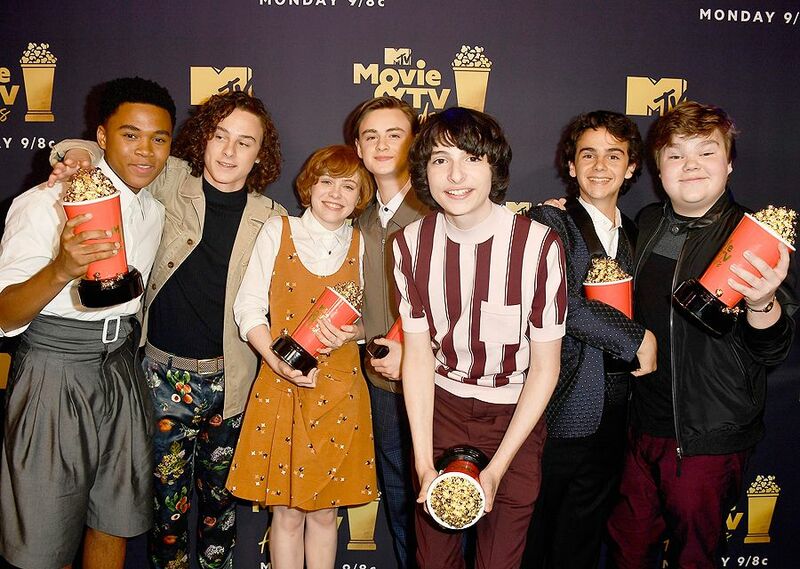 The Stranger Things 2 cast celebrate their win backstage at the 2018 MTV Movie & TV Awards. Zendaya shines backstage at the 2018 MTV Movie & TV Awards.